Forming young men to take on the ministries and tasks of the province and the Church is one of our greatest responsibilities. It costs about $35,000 per year to form one Jesuit. 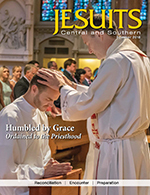 With over 70 men in various stages of formation over a long program, the Jesuits of the Central and Southern Province face a financial challenge every year. The reward for this investment in the future is tremendous as these young Jesuits prepare to take over the pastoral and teaching and leadership responsibilities of the province. 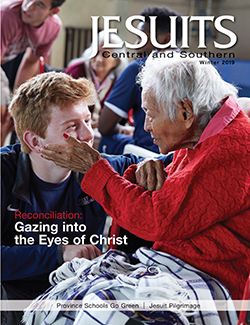 Please consider a gift to support the training and future ministry of these young Jesuits. f you prefer to make your gift by check, please make it payable to Jesuits Central and Southern Province and mail to: Advancement Office; 4511 West Pine Blvd; Saint Louis, MO 63108-2191. Our phone number is (800) 325-9924. Unable to load the reCAPTCHA image. The public key (6Lcc4PMSAAAAAPeWgsjx4Sha_rBGT94m7OAmD_IZ) might be invalid for this domain. 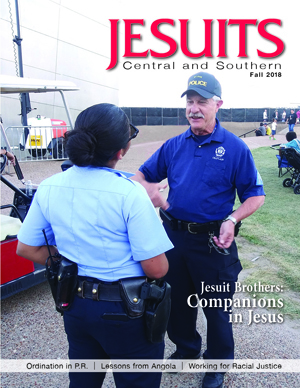 No matter your connection to the Society of Jesus, there is an opportunity for you to partner with the Jesuits.